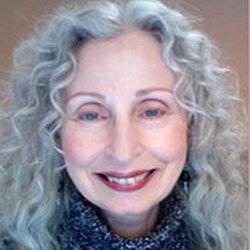 SUMMARY: When, at age fifty-nine, Rachelle Rogers was told in a channeled conversation about a man she didn’t know, yet felt she’d been waiting for all her life, it initiated an extraordinary six year inter-dimensional affair of the heart. The rich tapestry of events, which unfolds through ongoing conversations with angelic beings affectionately called The Dead Guys, weaves through a world of classical music, poetic inspiration, synchronistic interludes, and unexpected landscapes including Paris, Provence, and the Caribbean island of Saint Martin. In an authentic and lyrical voice, Rare Atmosphere recounts a story of passion, vision, and the courage to quest for a grander truth. THE BACK STORY: Although I kept a journal, I hadn’t intended to actually put my story into book form. While I was living it, I was living it. And later, the writing of it as memoir began more as a retelling for myself. It was only after I had integrated the experiences and come to a place of inner understanding that I thought perhaps reading about my journey might be meaningful to others. Once I got started, it took a little over a year to complete. WHY THIS TITLE? : Rare Atmosphere is a title I’ve tried to use for decades. It was inspired by research I was doing on the 20th century poet Elinor Wylie’s (inter-dimensional) obsession with the 19th century romantic poet Percy Bysshe Shelley. I don’t think the words “rare” and “atmosphere” together appeared in any of her poems, but the phrase came clearly into my mind sounding very “Elinor and Shelley” and I knew I would use it as a title for something I would write. I tentatively named two previous manuscripts Rare Atmosphere, one that in part became integrated into this memoir, and one that became my novel, A Love Apart. Once inside, I believe a reader would find an honest, lyrically written account of an unusual personal journey. The memoir takes its own form. The book is divided into sections by year. There are no chapters, but instead, vignettes of varying lengths with titles. And, be forewarned, there are pages that include poetry. In this rare metaphysical excursion, seasoned writer Rachelle Rogers explores the synergy between inner and outer realms, past and present; a richly poetic journey that reflects the beauty and resilience of the human spirit. …An unusual, touching account of a woman’s search for self-acceptance. AUTHOR PROFILE: In 2006, I won a competition in which I was asked to write a 150 word description of myself in 3rd person. Some of this still holds true. She saw herself as the heroine of her own literary affairs du coeurs. She’d had three husbands, an inter-dimensional relationship with a famous Russian, a liaison with a younger lover doing time in a federal penitentiary. Her most recent passion was with a man who’d left due to fear of his own magnificence. Drama spilled into poetry, stories, novels. It was her identity, her inspiration. She wore mostly black. Soon, however, she became too wise for sorry stories. Angst loosened its narrative grip. She stopped coloring her hair, let it wind free in wild silver curls. She smiled a lot. For the first time, she experimented with the possibilities of yellow. But then, sitting in front of the keyboard on an almost spring morning, chickadees trilling in the bare branches of a sycamore, she wondered what in the world she could write about now that she was happy. In addition to writing, editing, and designing jewelry, I own Serendipity Digital Design, where I develop elegant affordable websites for the arts and small business and offer POD and ebook formatting and design. AUTHOR COMMENTS: The main thing I’d hoped to accomplish with Rare Atmosphere was to wing my words across a page as honestly as I knew how and let them fly out into the world to begin their own journey, hopefully landing in front of those who would find resonance with the writing and meaning in what I’ve shared. 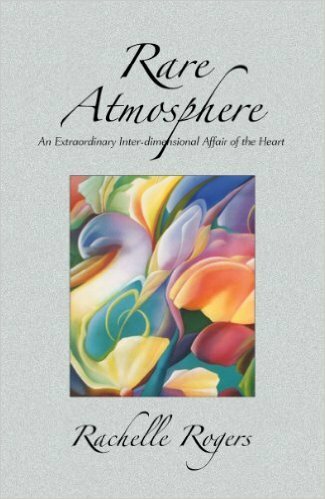 SAMPLE CHAPTER: You can find excerpts from Rare Atmosphere on my website: rachellerogers.com. LOCAL OUTLETS: Malaprop’s Bookstore in Asheville. WHERE ELSE TO BUY IT: Online at Amazon, Barnes & Noble, Indiebound, and other online bookstores. PRICE: $15.95 paperback $5.99 Kindle ebook.